​​​ ​FORT WORTH – Parker Products, which makes such as pralines, candy coatings, clusters, liquid flavors and candies held a grand opening ceremony for its new manufacturing facility. 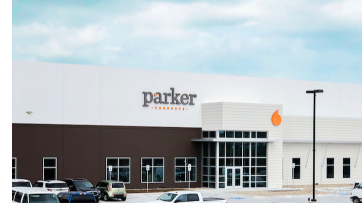 With three times the capacity of Parker Products’ previous location, the new 90,000-sf facility houses all of the company’s operations. The plant is located at 3001 Strawn Dr.
Parker Products has committed to invest $17.5 million in real and business personal property investment in the project. The company would retain 100 full-time employees and create 30 new full-time jobs as part of the consolidation. ​Chec​k out DFW Industrial Market Research.